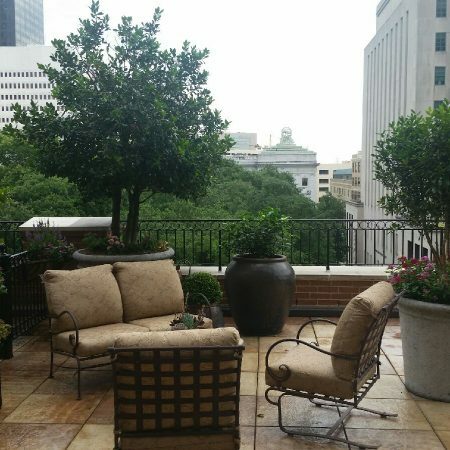 Exterior Designs by Beverly Katz specializes in transforming outdoor areas into additional living space. 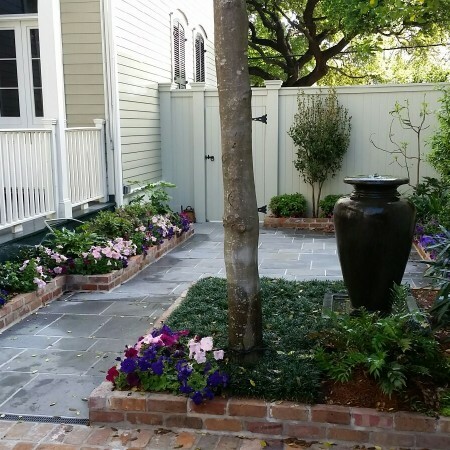 As a full-service contractor, our landscaping services are designed to see your project from conception to completion. From landscape design to permit acquisition, construction and management, we offer a wide range of services to see your project through. 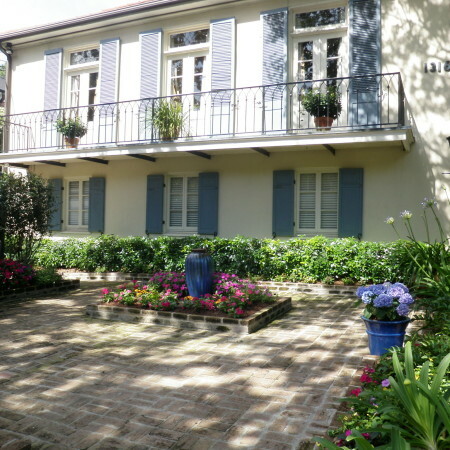 We offer our landscaping services in and around New Orleans, LA. Contact us today to request a risk-free consultation. Problem yards are our specialty! First, we start with a landscape consultation. We work directly with you to develop a strategic landscaping plan to achieve your immediate and long-term goals. Our consulting process will address your questions and concerns, while presenting viable options for your consideration. After developing a loose concept, we work with you to tailor the project to your specific style. Exterior Designs will provide materials and finishes that fit within your budget, while using our expertise to create a classically strong design. We are known for our cleverness when it comes to designing master plans. We incorporate architectural and structural elements as well as landscaping, creating a master plan that can be carried out over an extended period of time. Perhaps we start by defining and shaping gardens and planting trees and shrubs this year. Next year, we can install a pergola or swimming pool. Eventually your dream landscape will unfold, all while staying within your budget. The build phase is one of the most exciting phases! Each day the landscape begins to transform until the final design reveals itself. 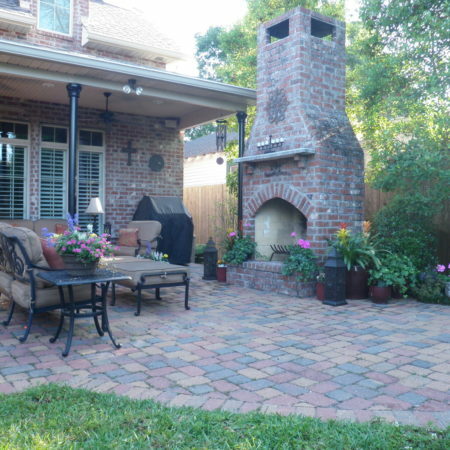 Exterior Designs employs a skilled landscaping construction team that works closely with our design team. Our construction team is highly trained in installing plant materials and fabricating architectural elements with precise detail from our landscape architect’s plan. Throughout the construction phase, our professional landscapers will leave your property in top condition. During this phase, a project manager will be on hand to supervise the coordination between personnel, contractors, material procurement, permitting and budget. It is like watching an elegant choreographed dance to see all the elements come together so smoothly! Trust our expertise to ensure all needed permits and paperwork are properly in place before any construction begins. Exterior Designs offers detailed lawn maintenance as an extended service to our customers and homeowners or business owners looking for a little help. 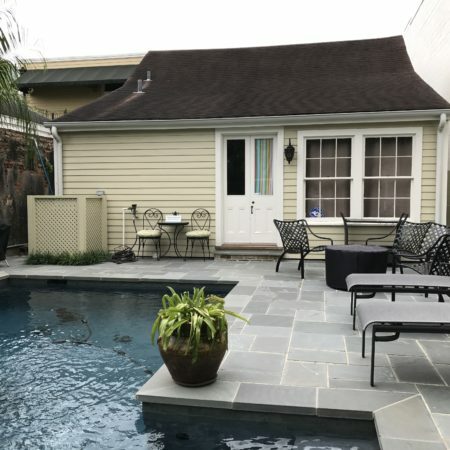 Landscape maintenance is much more than cutting grass and weeding – it is the process of giving your garden and outdoor living area a fresh new look! We maintain landscapes by replacing or removing storm damaged plants and trees, pruning to reshape plants and encourage new growth, thinning out overgrown areas, replacing old annuals, solving problem growth areas due to poor lighting or drainage and servicing your lawn. We offer affordable lawn care and landscape maintenance options for commercial and residential properties. We can schedule regular visits to completely maintain your landscape or provide services to complement your already established maintenance efforts. The beauty of having your landscape designer maintain your outdoors is that we can identify, correct and prevent problem areas. 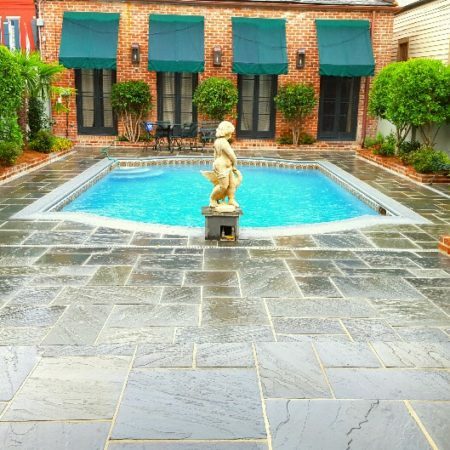 Serving the Greater New Orleans area – Metairie, Kenner, River Ridge, Destrehan, Mandeville, Covington, Houma and Thibodaux, Exterior Designs is eager to maintain and your landscape and lawn. We accommodate all budgets by working in phases, selecting valuable materials and customizing payment plans.